We know that when the winter wind is blowing, the rain is pouring, and there’s a chill in the air, that it can be much more appealing to cuddle up indoors next to the glowing television screen rather than venture outside for some exercise. But hibernation is not the answer! It’s a shiny new year and trying something new and exciting while moving off your duff to get your blood pumping is a great way to shake up your routine. Here are our top ten fun and unique activities to try this year that will get you moving, put a smile on your face, and we guarantee will not require you to go anywhere near a treadmill. If you are the competitive kind, you should absolutely check out Extreme Air Park’s 3-D Dodgeball. So what precisely takes this game from schoolyard favourite to 3-D? It’s played in a giant space on a bed of trampolines, some of which are vertical, to give it that extra bouncy edge. There are different levels that you can play at and you are welcome to drop in and join a team. If you have friends that want in on the action, check out the league nights where groups of people can play against each other under black lights. As Extreme Air Park says, it’s such a good time that you will forget you’re exercising! Who says recreational gymnastics is just for the little ones? Gymnastics is great fun for all ages and gives a great workout while strengthening bones and improving balance and flexibility. Play Gymnastics is one of a few gymnastics companies that offer adult gymnastics classes ranging from beginner to experienced. Put a new spin on how you exercise and soon you’ll be having so much fun that you won’t even realize you’re working out. Fun for all ages, this challenging indoor activity will not only keep you out of the winter weather but will have you reaching new heights in no time. This is a fantastic activity to try for the first time, or to revisit if it’s been awhile, as all indoor rock climbing facilities have trained staff who are ready to help you get started. There are often discounted rates for first timers and you can bring anyone who is willing to give it a go. Rock climbing is a great way to challenge yourself both physically and mentally and perhaps even face your fears in a safe and encouraging environment. 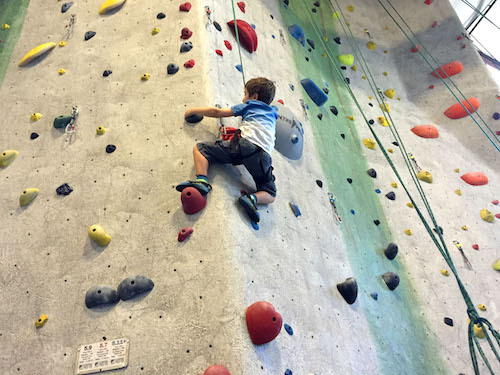 There are many different indoor rock climbing facilities all around the Greater Vancouver area so be sure to search for the one closest to you. Popular places in Vancouver include Cliffhanger and The Hive Bouldering Gym. This favourite childhood pastime has had a grown-up makeover and is now offered as a hoop dance class. This has got to be one of the most whimsical ways to get your hips moving and your face smiling. Hula hoop classes will not only teach you how to hula hoop but will also show you how to use your hoop in different and musical ways that will shake up your exercise regime. Most Vancouver hula hoop classes take place at community and recreation centres so be sure to check out your local leisure guide. Also take a look at the popular Hoop Fairy who posts when and where hooping classes are happening all over the city. Dance lessons are a great reason to get out of the house, and salsa dancing is one of the spiciest styles around. Invite a friend or partner to join you and learn the art of salsa together. Not only will you have fun, but you’ll gain a lifelong skill that is great to show off and can help you to meet new and interesting people. 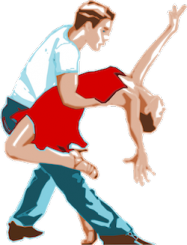 Check out your local recreation centre or private dance academies for class offerings. If the winter chills have crept into your bones there is no better way to warm yourself from the inside out than with some hot yoga. If you have yet to try hot yoga, now is the time as many yoga studios are offering membership sales or special nights each week for drop in classes at a discounted price. If the hot, sweaty part doesn’t sound appealing, then try warm yoga! It’s a cooler alternative to hot yoga but will still wake up your muscles and take care of the chills. If learning to climb, twirl, and gracefully hang high above the ground from flowing pieces of fabric sounds like your idea of a great time, then you should check out aerial classes. Get your stretching and core workout in while learning to work with aerial silks with Tantra Fitness’ aerial class offerings. The classes are designed to help beginners learn aerial skills in a fun and inclusive environment and will make you use muscles you never ever knew you had. You will feel like you’ve run away with the circus, and still be able to sleep in your own bed! Fencing is a fantastic and fast paced cardio workout that will sharpen your hand-eye coordination in no time. Newcomers will enjoy the novelty of the classic sport while learning the footwork, offense, defense, and muscle control that create a great exercise regime. La Salle Fencing school is known for offering many beginners courses for youngsters, teens, and adults from the ages of 8 years old and up. Enrol with a family member or friend and get moving with this exhilarating and historical sport.